Chicago's Cinco de Mayo celebrations got an early start with a parade along Cermak Road on the city's West Side Sunday. 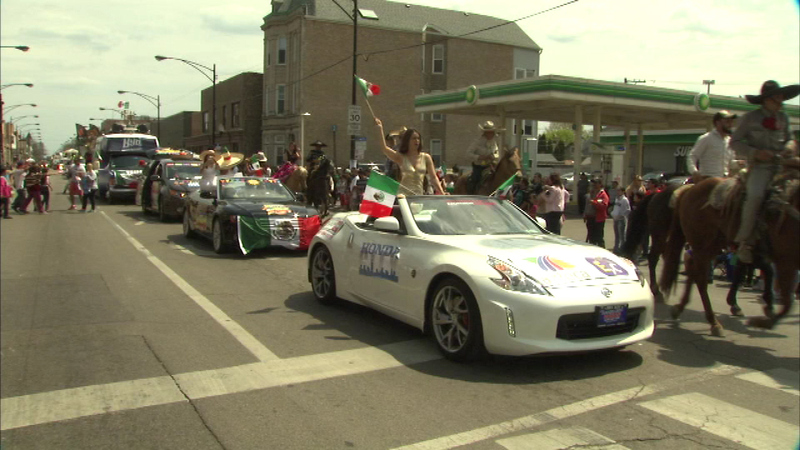 CHICAGO (WLS) -- Chicago's Cinco de Mayo celebrations got an early start with a parade along Cermak Road on the city's West Side Sunday. The colorful celebration capped off a three-day festival in nearby Douglas Park attended by an estimate 100,000 people. Cinco de Mayo is the celebration of a victory for Mexican forces over the French Army in the 1800's.